Donations to Voice Male magazine are tax-exempt. Voice Male magazine is a project of Family Diversity Projects. Please make checks out to Voice Male / Family Diversity Projects (our non-profit sponsor). An essential voice in the national conversation about men and masculinity. How often do you hear the words “male positive” and “profeminist” in the same sentence? Voice Male’s mission to empower men and simultaneously stand in solidarity with women is an inspiring, progressive voice pointing the way to gender justice. If you’re on this site, you probably know that much remains to be done to enhance the lives of women and to transform societal ideas of manhood. 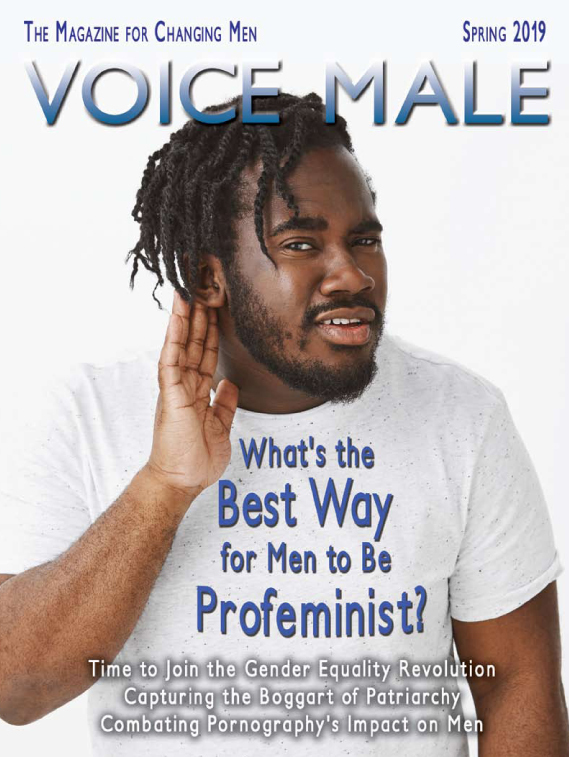 Since our earliest days as a newsletter for a profeminist men's center (1983), Voice Male has been an unwavering voice both challenging men’s violence against women and supporting men to redefine and transform manhood. Voice Male is a bridge, deconstructing old world planks of traditional masculinity, and building new sturdy ones leading to a sensitive and aware expression of masculinities. 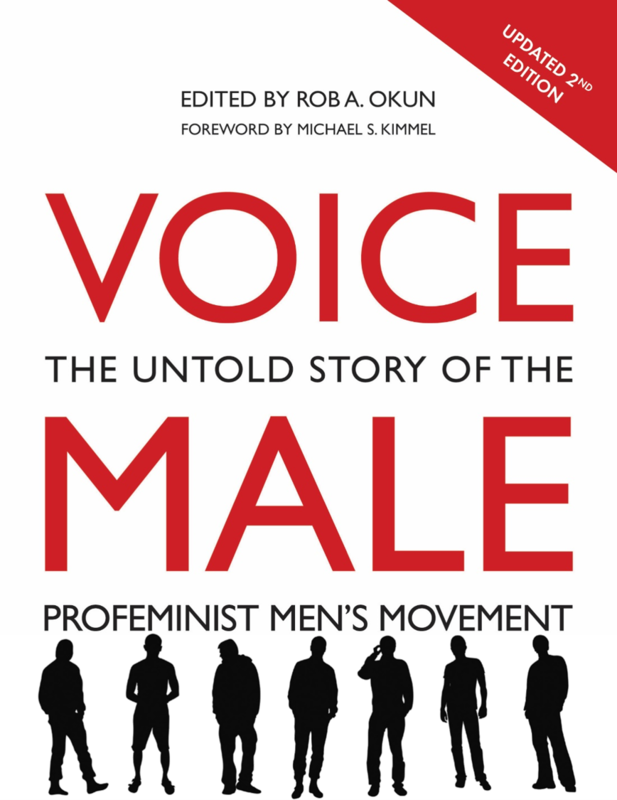 Our anthology, VOICE MALE: The Untold Story of the Profemnist Men's Movement (Second edition, 2017), is an activist’s tool and an educator’s resource, useful both for grassroots organizing and for gender studies students, staff and faculty. Order a copy today. As a non-profit in today's economy, we rely upon donations and subscriptions from people like you. Send a contribution to honor or remember someone in your life who embodies the Voice Male vision! Take out a subscription for a local or university library, or for a man or young man in your life. We need you!